A mother’s sweet, endearing rumination about her daughter, her growing up and the interrelation between both the mother and daughter. 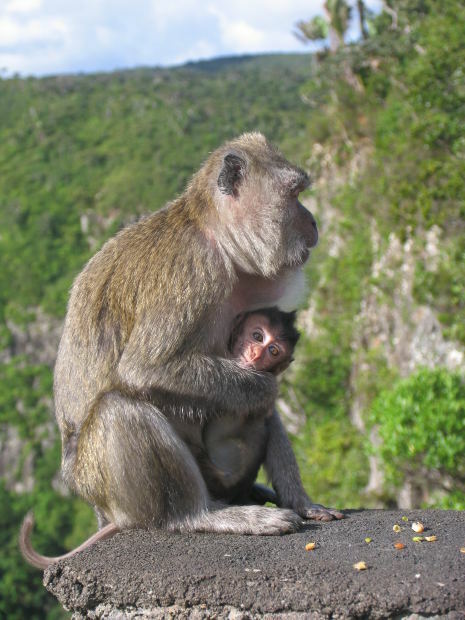 After some time, the mother climbed down, the baby furiously clinging to her. My daughter was in her room studying for her exams. It was 2am; I tiptoed into her room, and cautiously opened the door, to come face to face with the white board which proclaimed STOMACH CRUNCHES-100, SKIPS-100, SQUATS-50, PUSH UPS- 50. I suddenly remembered some long forgotten nuggets of memory. She was not even one, and could hardly walk, but she tried, ah, she really tried. Holding on to my hand she hopped and skipped to my command. Teddy bear hop, teddy bear skip. Teddy bear hops round and round the garden, and round and round the garden she hopped thinking that she was teddy bear. And soon I found her hopping and skipping away her baby fat. And time also skipped away- like an enthusiastic child not wanting to lose the race. One day, not many days ago, I realised she had suddenly become calorie conscious. The tiny, roly poly girl, who could never have enough of pizzas, burgers, chips, had suddenly started saying No to all eatables of a high calorific value. Many a time I caught her stealing glances in the mirror. “Ma, the mirror is smudged”. She remarked when I caught her looking in the mirror. “I was looking at the mirror, not in the mirror.” She added, trying to camouflage her sheepishness by a sneer, which appeared too reluctant to settle itself on her otherwise amiable face. The girl, who had never looked into the mirror twice, having no time for such “girlish activities”, now had all the time in the world to find fault with the mirror and smile, and pirouette in front of it. “Hi cutie, how are you doing?” She was talking to herself, as she struck a pose in front of the mirror. “Narcissistic, huh? I can’t even get narcissistic, as it is you scarred my childhood!” She seemed to be bent on taking her revenge for something which I had done long years back. “Wh…a…at?” I stuttered taken absolutely unawares by the stinging remark that seemed to have sprung from the innermost recesses of her heart. “That was needed to keep you grounded,” I managed to say, the moment realization struck. As my shoulders hunched in despair, and I started heading back towards the door I suddenly felt movement behind me, before I could whirl back, I was enveloped in a teddy bear hug. “I am glad you did it, mom.” She gathered me in her arms and planted two kisses on my cheeks. “Look, my feet are firmly planted on the ground,” she said pointing towards her feet, and threw back her head and laughed, pushing me out of the door. I was at Patnitop, a beautiful hill resort, some hundred kilometers from Jammu. It was a bright morning, the clouds played merrily in the sky, and down below a family of monkeys sat, one lone monkeylet, looked around helplessly when its mother suddenly decided that its moment of glory lay in the Pine tree above. Extremely small to follow its mother, it sat there, looking so morose. The daddy monkey sat on a little wall with the right elbow on the wall reclining his entire body against it, and the other arm lying supine on his thigh. “Like a boss,” said a teenager passing by. The mother monkey flung her lithe frame from on pine tree to another, and then taking a fancy to one particular tree, slithered up to perch herself on the top. Then suddenly she remembered something and climbed down at a furious pace, gestured to her baby to hop up onto her back. The baby willingly obeyed. Now with the baby happily perched on her back, she again started climbing up the tree. And was once more at the top. I could see both of them sitting up there, snug and warm. I suddenly felt cold and missed my daughter whom I had left back home in the midst of exams when I had to suddenly rush to Jammu, and could even imagine her quipping, “Do not tell me, mom, now even monkeys have started reminding you of me”. “I will manage, mom, do not worry. And I will also manage dad.” She had said with an impish grin and had helped me in packing my things. Struck by a sudden curiosity, the shawl sellers stopped in their tracks, and looked at me while I knuckled away a speck of dust particle that had gone into my eye, while the trees and the playful wind tussled, trying to curb their curiosity. After some time, the mother climbed down, the baby furiously clinging to her, and soon she walked away towards the narrow pathway descending down towards the foothills. The sun winked from up above. I looked at the clouds surrounding it; I was struck by one of the clouds which looked almost like a teddy bear. When I looked again, it had dissolved. A week back, I had left my daughter at her table reading Freud’s The Interpretation of Dreams. “I do not agree with his theories,” she had said, crinkling her nose. “Carl Jung also did not,” I said. “But I have read the Interpretation of Dreams,” I insisted with an irritated frown. What I did not tell her was that I had seen dreams rippling in her eyes, seen them whirling and swirling in their limpid depths. And had also interpreted them. Since the time I had seen the gleam of recognition for me in her eyes, since the time I had seen her chortle in delight at the lone sun ray that insinuated itself into the room and on to her cradle, since the time that she had clapped away as the raindrops kept falling on her tiny head. Since the time that she thought she was a teddy bear. Thanks a lot Lopa .